Roasting garlic is a classic technique that mellows and enhances the flavor of garlic so much that I want to simply eat clove after clove. It’s so easy to make roasted garlic, but a lot of people don’t know how to do it, so I thought I’d make a quick tutorial for you. 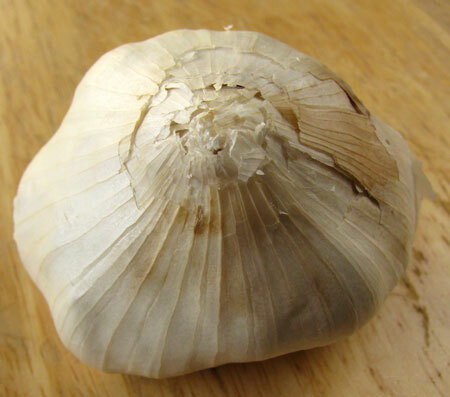 The first step is to preheat your oven to 450 degrees and then cut the top off of a bulb of garlic. 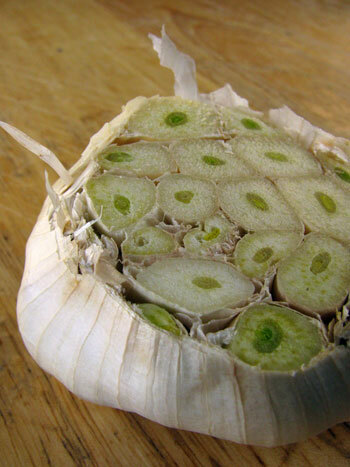 Now see the papery skin around all those cloves. Carefully peel that away without separating or peeling the individual cloves of garlic and rub about a teaspoon of olive oil on the top of the cut cloves. Then wrap the whole thing in some aluminum foil. Place it on your oven rack and let it roast for 25-30 minutes. When it’s done the cloves of garlic should be very soft and mushy. You can check that by pressing it with the back of a spoon. If they’re still firm just re-wrap the foil and give it another 5 minutes in the oven. Once it’s done, simply squish the cloves out of their skin, or use a fork to pull them out. 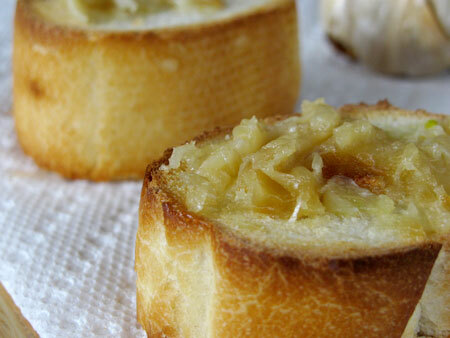 You can eat the roasted garlic as is, spread it on french bread or crackers, use it to top baked potatoes, or in cooking! 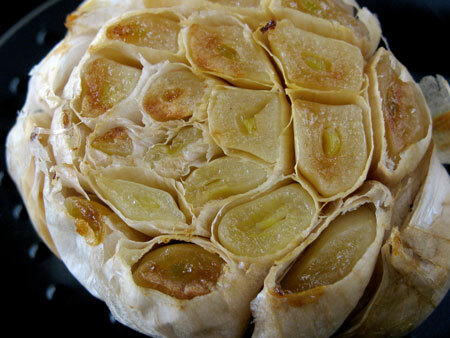 How do you like to use roast garlic?